Addressing communication barriers is extremely important. When people experience memory loss, it can not only be difficult for them to express their ideas, needs, and feelings to others, but also challenging for family members, caregivers and professionals to communicate with the person. Thecommunication barriers associated with memory loss not onlyimpede social interaction, but also can also pose safety and health risks for the person with memory loss. Not remembering the meaning of the uniforms of law enforcement or other public safety officials. Increased stress and emotionality caused by the frustration of not remembering information and coping with the resultingcommunication barriers. There are different ways for both people with memory loss and their caregivers to minimize these health and safety risks. Speak slowly and enunciated your words. Avoid shouting at the person, as memory loss does not mean hearing loss. 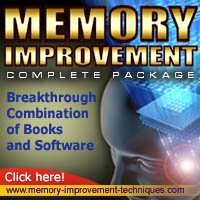 Repeat and summarize information given to the person with memory loss. Additionally, ask the person to repeat the information back to you. Summarize lengthy instructions provided by physicians, therapists, and caregivers. Ask the person with memory issues to explain their understanding of the instructions to clarify any misunderstandings. Ask for written handouts or patient information sheets related to information provided at medical and therapy appointments. Have the person with memory loss read the instructions aloud to make sure they understand the information and to ask questions. Use color-coded diagrams and drawings to convey information. Set an agenda that outlines the goals and highlights of an appointment. This can be used in conjunction with an appointment book. Using communication styles and tools, which engage multiple senses, serve to break down the barriers to communication.